Even if you are not a dog lover, Wes Anderson’s latest work, a marvel of animation formation suffused in the elixir of ingenuity and innocence, will seduce you into a state of attentive submission. The film’s non-live format is no hindrance to its efficacy as a comment on the human condition, in this case the human condition as defined by a canine community of fiercely united stray dogs who have been banished to a trashy island as per a Japanese law. The narrative doesn’t attempt to pull at our heartstrings. Rather than milk the canine condition to whip up a compassionate drama, Anderson constructs the animation equivalent of a noire thriller. 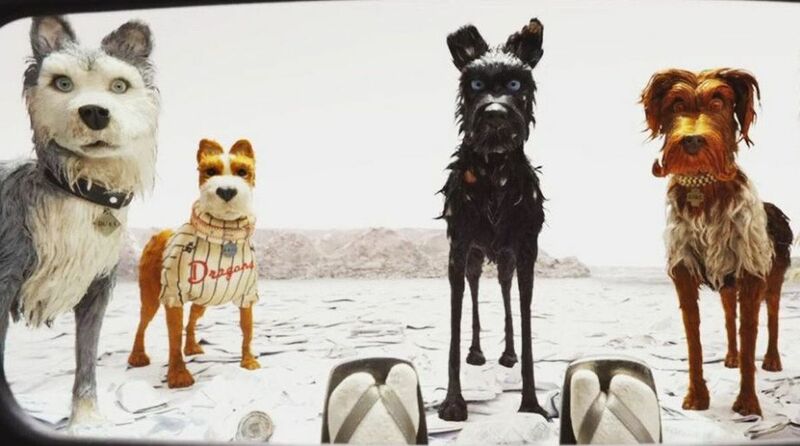 Portions of “Isle Of Dogs” unfold like a dark and seductive Roman Polanski film where the exteriorised aggression of the characters often manifested in physical signs of violence, secretes a deep hurt. That the protagonists are canines is of no consequence. Animation dramas have truly come of age. In June, “The Incredibles 2” and now “The Isle Of Dogs” shows the marked shift of the animation format into the isle of illumination. Both the works display an immense quota of warmth, wisdom and wit. The “Isle Of Dogs” keeps the emotions reined-in and implosive. It’s almost like watching an animation version of a Jane Austen novel where the venue of the tea-party is a dystopian island and the ladies have have transformed into snarling dogs. Perhaps it was something they drank with their tea. In the midst of this conflicted canine kingdom comes a Japanese boy Atari who is looking for his lost pet-dog. The search, a nebulous metaphor on the human yearning for finding love, is filmed as a discreet adventure story filled with political intrigue and suffused in the strong scent of staggeringly endangered civilization. Nothing in “The Isle Of Dogs” is as simple as it seems. The lessons of life are served up with such casual candour that we never feel the weight of the film’s inherent wisdom. It all feels deceptively light. It is what Milan Kundera described as the unbearable lightness of being. The unbearable has never been more compelling.